Driven by the same spirit of daring as those pioneers who first turned Icarus’ mythical dream into reality, Zenith accompanies adventurers and enthusiasts as they take on each new challenge. 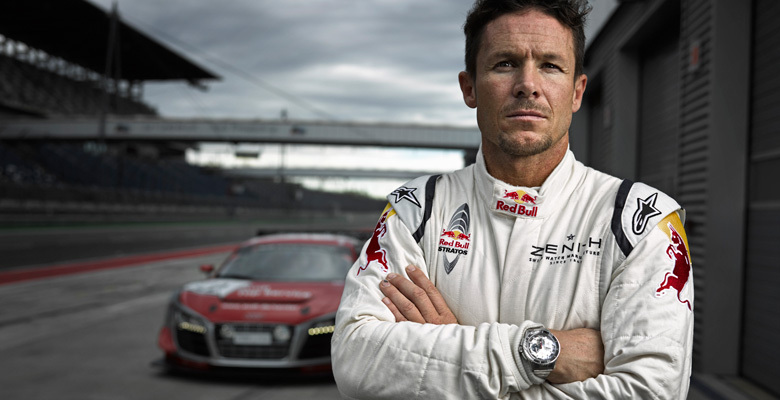 Therefore Zenith is proud to announce that following his stratosphere jump in 2012, extreme athlete Felix Baumgartner is tackling his next big challenge on the Nordschleife of the Nürburgring. The Austrian obtained a racing license and will be racing with the Audi race experience team on the Nürburgring-Nordschleife. As a guest entrant, Baumgartner has been gathering some racing experience in recent years during occasional runs in the one-make cups of the Volkswagen Group. The big difference in the 2014 season: the Audi R8 LMS ultra provides him with a 419 kW (570 hp) ‘pure-bred’ GT3 race car. 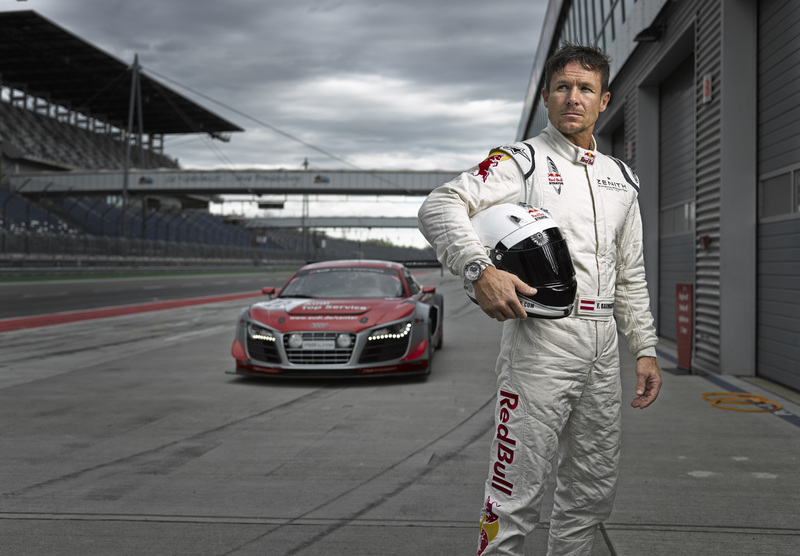 The 45-year-old is completing an extensive preparation program before competing in the 24-hour race at the Nürburgring on June 21/22, 2014. 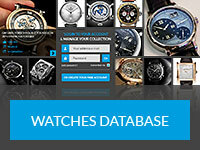 His team-mates are equally prominent: The fivetime Le Mans winner Frank Biela (D), the three-time Le Mans winner Marco Werner (D) as well as the GT and sports car pro Pierre Kaffer (D) will be his colleagues in the cockpit. Once again the El Primero stratos Flyback Striking 10th, the first watch to break the to break the speed of sound in October 2012, will accompany Felix Baumgartner in his new adventure and will be an accurate and reliable partner all race long.